After surviving a grave illness in 1624, the British poet John Donne wrote: "No man is an island, entire of itself; every man is a piece of the continent, a part of the main. If a clod be washed away by the sea, Europe is the less, as well as if a promontory were, as well as if a manor of thy friend's or of thine own were: any man's death diminishes me, because I am involved in mankind, and therefore never send to know for whom the bells tolls; it tolls for thee." One can imagine what it was like to survive a contagion in 1624. It must have seemed like the end of the world. In 1624, the forebears of my friend Kamal Assat were making a living the same way he does today in India. Kamal lives in Jaipur, the capital of Rajisthan, where he is maker of fine enamel jewelry. I met Kamal on my first visit to India. He and his family live in the same house built his forebearers when Jaipur was founded two hundred and fifty years ago. He counts nine generations of jewelers as direct descendants. I can't tell you who John Donne's descendants are or if there are any, but by Kamal's metrics his were making jewelry in Jaipur before John Donne was born. 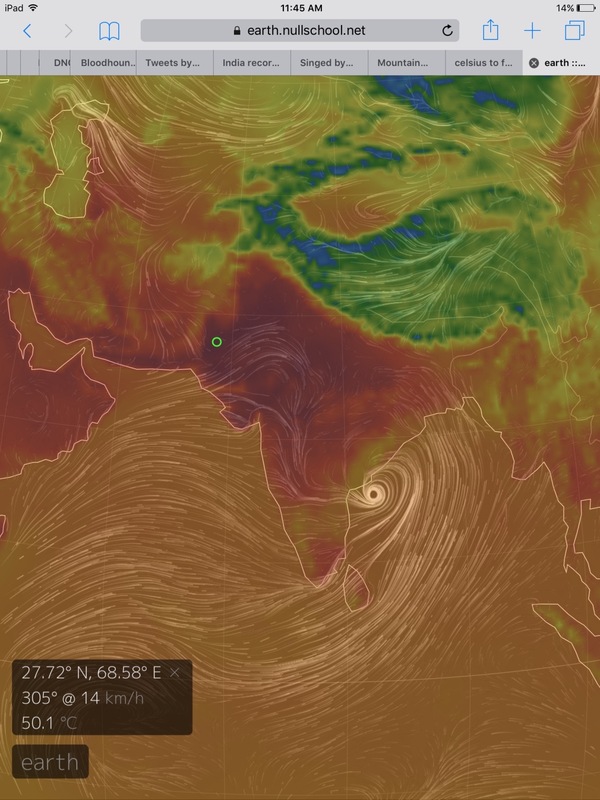 This contrast between continuity and fragility helps to understand why we should care that Jaipur is in the midst of a record breaking heat wave. For the past two days, temperature exceeded 50, or, 122 degrees Fahrenheit. Kamal writes me that the city is shut down. His children are confined to the house. With more than three million people to keep cool, the electric grid is severely stressed. Those without air conditioning survive by staying inert and hydrated. 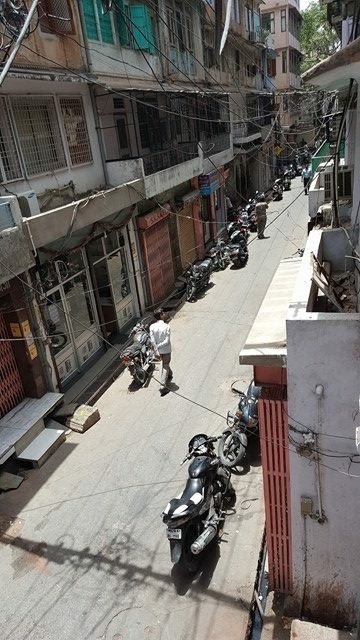 Hundreds of people are dying in Jaipur, and many more around Rajasthan. The news, Kamal says, under-reports the heat and the deaths. My connection to Kamal was made through the internet. 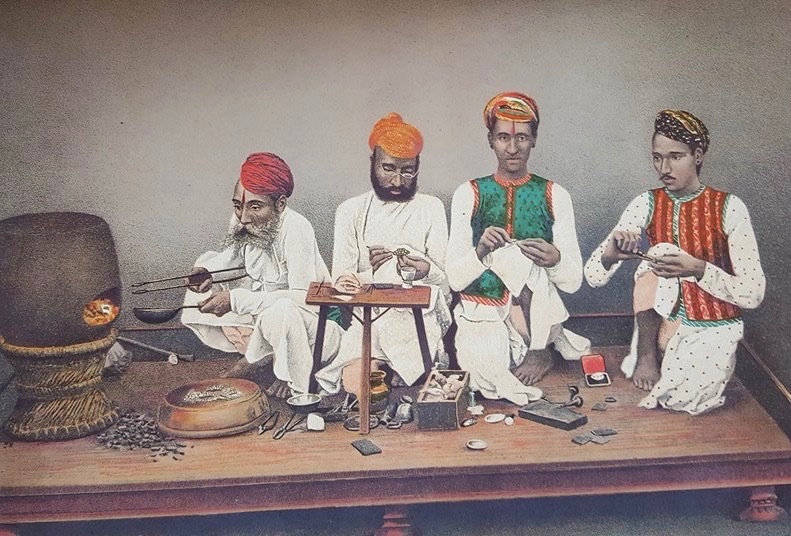 In Miami, I read a story in a New York newspaper about a jeweler in London who referred me to her inlay supplier in Jaipur: no man is an island. I'm worried about my friend and his family and the rising heat as a consequence of man-made climate change. Places where daily temperatures are above 120 degrees predict a ghastly future. A quick glance on the web shows average temperatures in Jaipur's summer to be from 30-40 degrees Celsius. Today is more than twenty percent above average. That should not surprise us. We are witnessing weather extremes in our news, too. In Australia. In Russian Siberia. In Europe. This winter, parts of the arctic in North America hit absurdly high temperatures. On some winter days, the temperature in Alaska was warmer than in Washington, DC. Take note. For a inlay jeweler, ovens are for annealing not for walking in the noonday sun. In the United States, Republicans in Congress have triggered an ugly fight with state attorney generals investigating oil companies like Exxon for lying to the public on global warming caused by combustion of fossil fuels. Meanwhile climate change deniers in states like Florida have joined with powerful electric utilities to turn public attention away from corporate accountability. In their view, this global warming -- this contagion -- is just a bad case of flu. John Donne never visited India, sub-Saharan Africa or parts of the Mideast where populations are on the move because of climate change. Listen closely, and you will hear those bells tolling, too.